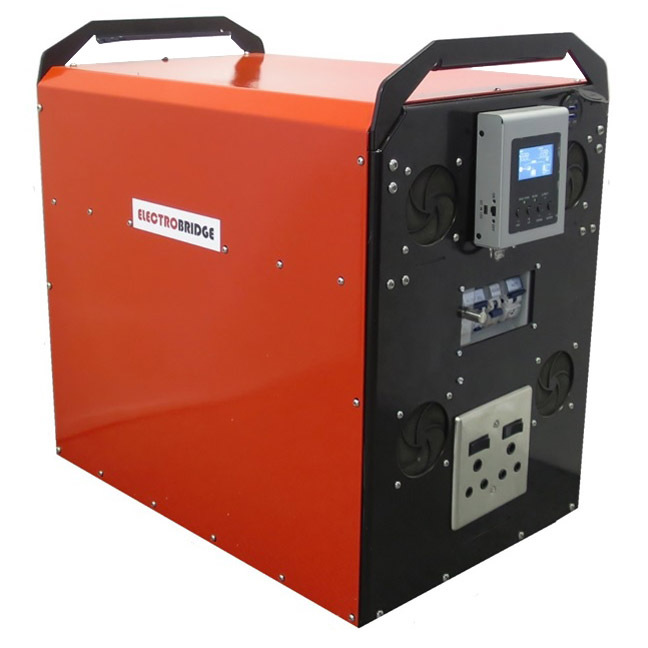 Welcome to ElectroBridge, the portable power supply to serve the needs of up to 5 people simultaneously. 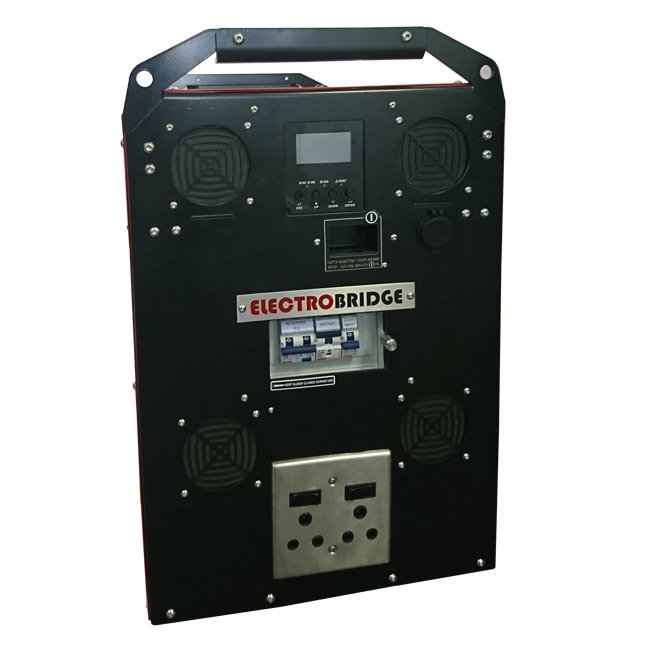 ElectroBridge was built to solve a specific problem: how does one handle power outages of several hours in a high-density office environment? 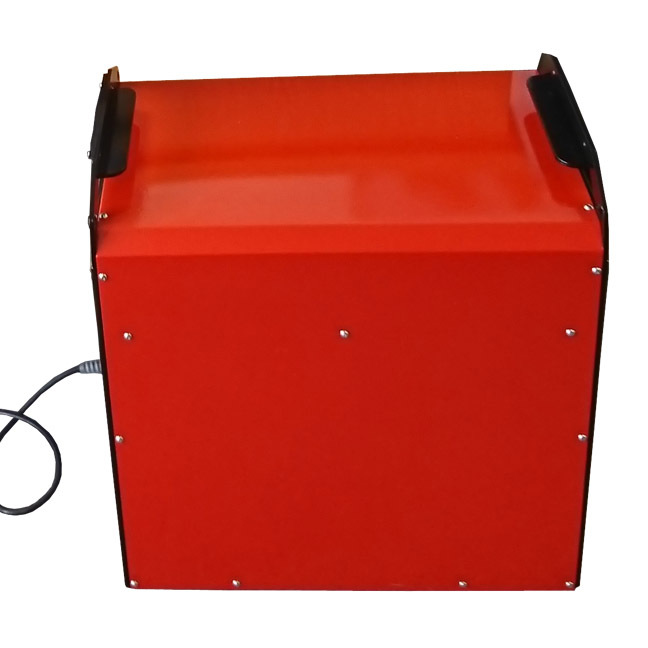 You can’t fire up a generator because of the noise pollution and exhaust fumes. Ordinary UPS systems only last a few minutes to an hour. You don’t want a permanently wall-mounted installation wired into your DB board with a large box on the wall or worse, an ugly cabinet for a battery bank. No, when not needed you want to just wheel the device under a desk and forget about it. Or use it as a coffee table! During “loadshedding” in 2015, we could find nothing on the market that could address our needs. So we built it. 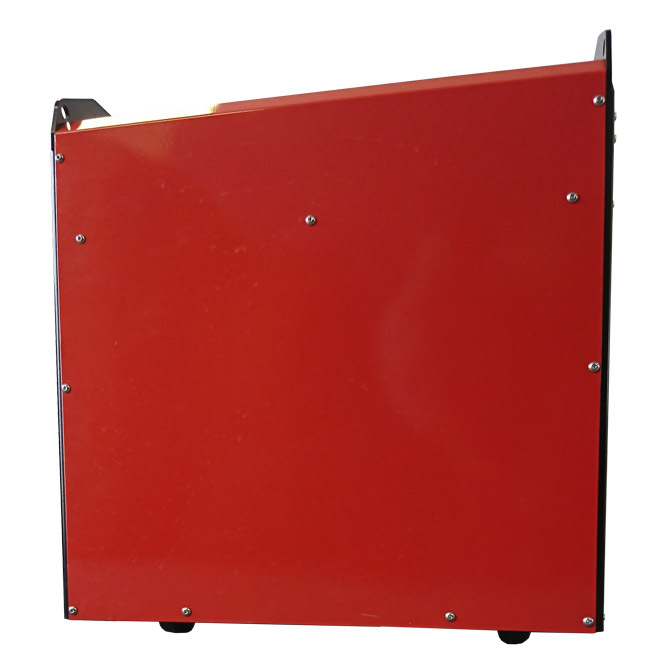 Today, we have one of the top power boxes in the industry, and we like to think it still hasn’t departed from our original design philosophy: it mustn’t look out of place in an office environment, but it must be robust and reliable and perform like an industrial device. We think we’ve achieved just that. Sized to be in the sweet-spot for small offices and loads such as lighting, computers and other electronic devices. Many hours up to a full day of power depending on the load. 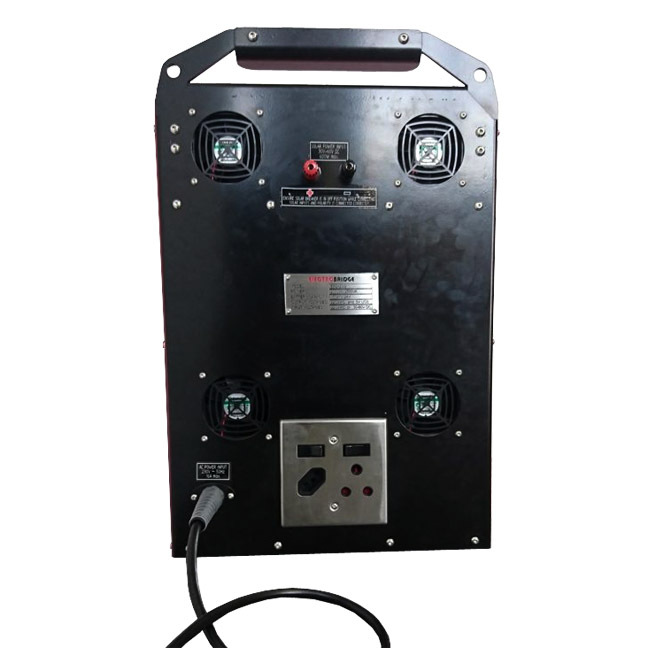 Despite being designed for office use, it has a robust steel casing so you can use it on your farm, movie set or take it camping. 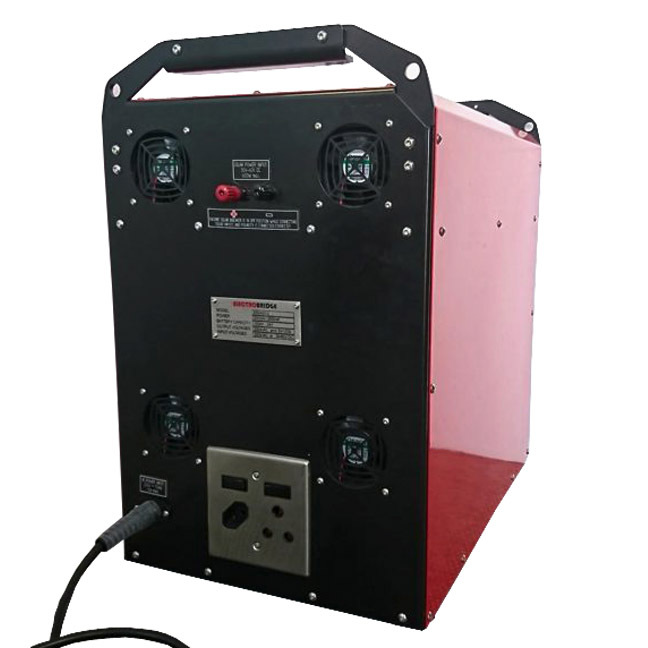 You can even plug in your bar fridge and TV, or your drill and grinder. One kettle plug on the rear panel for 220 V AC in (from mains). Cord supplied with standard SA three-prong plug (3m long) for Plug ‘n Play. Screw-type connectors for connecting solar panels (up to 600W). That’s right, you can go off-grid with this baby.